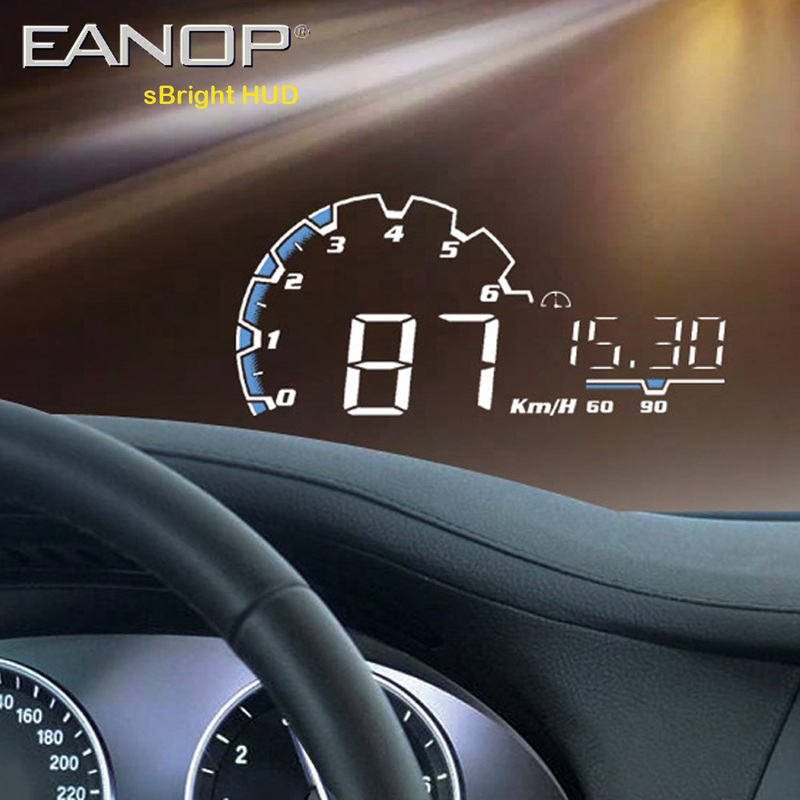 HUD can automatically adapt to vehicle type which in line with OBDII. the icon of overspeed will flicker and alarm when the vehicle exceeds the speed limit set up in advance. it will remind the driver to gear up to save fuel when the engine speed and vehicle speed come to a certain ratio. after driving for 4 hours, the fatigue driving indicator light will flash to remind the driver to have a rest. brightness can be changed with change in the outside world. clock, rotate speed, water temperature, battery voltage, throttle angle and fuel consumption. display fuel consumption of one hundred kilometer when the vehicle is moving. it contributes to shift gear in time to save fuel also has significance to new driver. the brightness can be adjusted automatically or manually to reach the best state which is in harmony with the environment. If you find out that HUD displays only voltage for 30 seconds and then turn off automatically, this is because the interface isn\'t OBD II or EOBD. So we suggest checking twice whether your interface is OBD2/EOBD or not before purchase. For old cars, you should set your start voltage at 12.8V, for your battery is too old to provide 13.2V voltage. The speed this HUD displays is 5km faster than actual speed by factory default. You can fine tune or adjust it to your personal preference.